My favorite thing to eat when the weather is colder is soup. It makes a perfect meal, gives the kids all the right nutrients they need, it is comforting, plus it is easy for me. Sauté the carrots, leek, celery with 2 tbsp of olive oil for 5 minutes. Add the lentils, stock, bay leaf, 1 tsp of salt and 1/2 tsp of pepper. 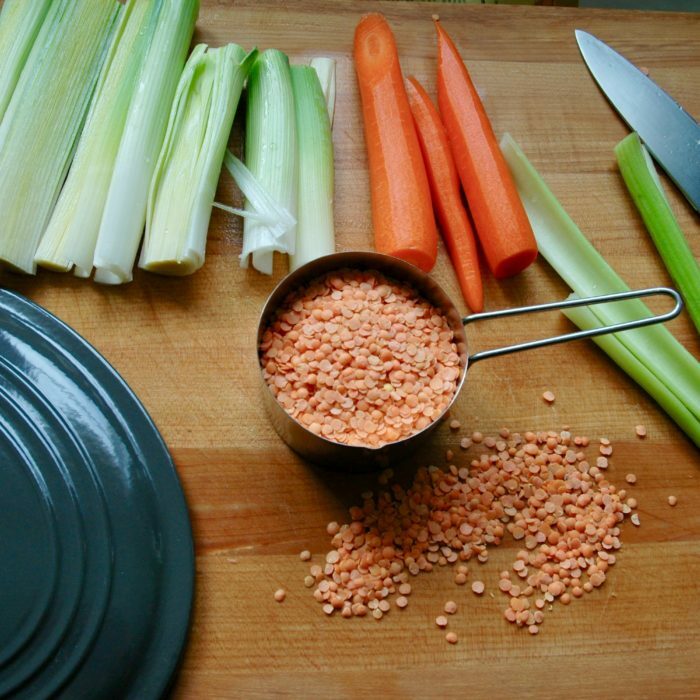 Bring to a boil, simmer and cook for 15 minutes until lentils are cooked through! I added pieces of turkey bacon for my kids in their soup and they LOVED it!!! !